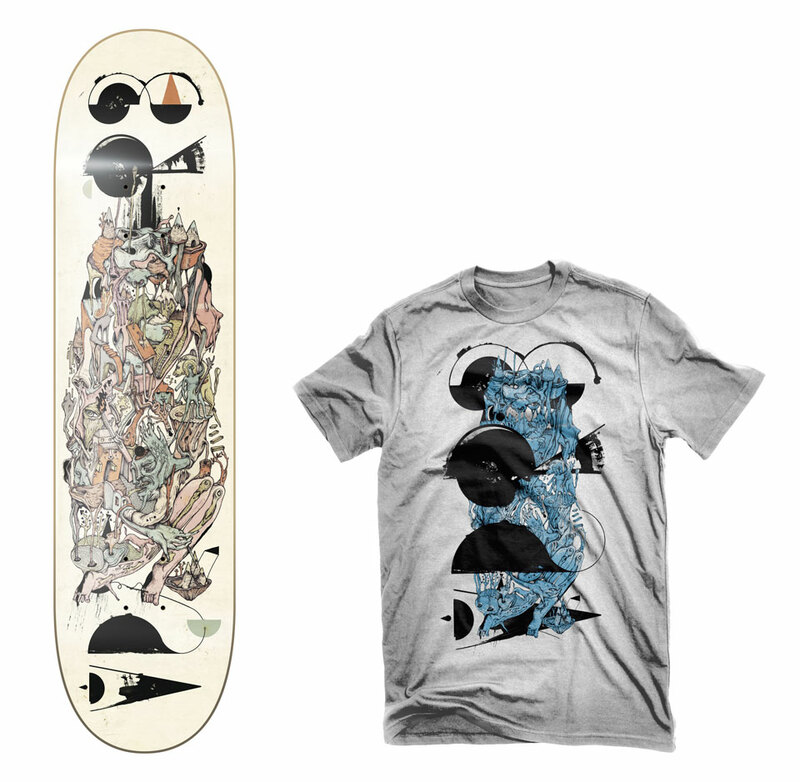 Bison’s deck and t-shirt graphics for the Verb Artist Series range. Verb asked us to design a skateboard deck as well as a t-shirt and screen printed poster all of which were sold at a group exhibition. Bison is the work of Linsey Levendall and Daniel Orme who form a creative studio based in South Africa. Bison is two friends and some graphic experimentation. It is a labour of blood and love for doing something simply for the love of it.